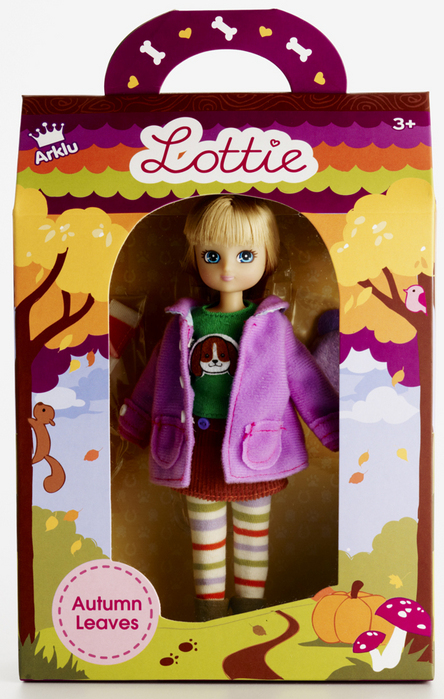 Lottie Loves Autumn and especially the changing colors of the leaves on the trees. She comes wrapped up warm in her coat, scarf, hat and boots. 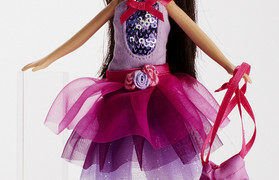 Underneath she wears a long sleeved t-shirt with a removable patch, a corduroy skirt and striped leggings. 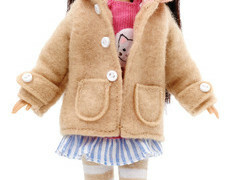 Lottie is 7″ tall.